Few people can appreciate those words more than the lucky few Prodigies and their Mentors who have been fortunate enough to experience this first hand as they grow and learn from each other. To be a part of this great program, click here. The Prodigy Group offers a unique mentorship program that matches emerging leaders with exemplary business professionals that are both committed to the community and are members of the Greater Victoria Chamber of Commerce. Our program leaders are coordinating this unique program that will inspire and empower participants to challenge themselves both personally and professionally. If you are interested in becoming a mentee, please click here to download the Mentee Application Form and email to mentorship@prodigygroup.ca. Please note we will be accepting applications for both mentees and mentors on a rolling basis throughout the year. Once an application is received, our team will review the application and determine if the candidate is suited for the program. At this point, our team will work to find a suitable match within a 4-6 week time frame. 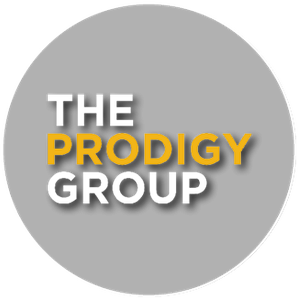 How do I get involved with The Prodigy Group? If you are a member of the Greater Victoria Chamber of Commerce or work for a company that is a Chamber member please contact us to get connected with our Prodigy Group leadership team.